Briya’s holistic approach to education, including the unique two-generation model and partnership with Mary’s Center, is highlighted in a story by Armando Trull of WAMU 88.5, NPR’s DC affiliate, as a way to help immigrant families overcome poverty. “’One of the things that [Briya and Mary’s Center] do very well is bringing all these elements together dealing with the issues that the families face — health issues, parenting issues and so forth — at the same time that they’re dealing with the children, and that’s what really makes that household more likely to succeed over the long haul,’” Stuart Butler, a senior fellow at the Brookings Institution, says in the story. The ways Briya’s unique model benefits immigrant families are highlighted in a story by Armando Trull for NPR. Read and listen to the story here. https://briya.org//wp-content/uploads/2016/04/smaller-1.png 0 0 briya https://briya.org//wp-content/uploads/2016/04/smaller-1.png briya2015-09-25 16:47:392016-06-28 17:58:24Briya on NPR! Briya has been named a Bright Spot in Hispanic Education by the White House Initiative on Educational Excellence for Hispanics. This award, created in honor of the Initiative’s 25th anniversary, recognizes exceptional programs nationwide that support Latino education and opportunities. “There has been notable progress in Hispanic educational achievement, and it is due to the efforts of these Bright Spots in Hispanic Education, programs and organizations working throughout the country to help Hispanic students reach their full potential,” said Andrew Ceja, Executive Director of the Initiative. Briya was nominated for its use of a two-generation model that combats cycles of under-education and poverty by enriching children with high-quality early childhood education, empowering parents to foster their children’s language and literacy skills from birth, and simultaneously equipping parents with the critical literacy and job skills needed to obtain employment. 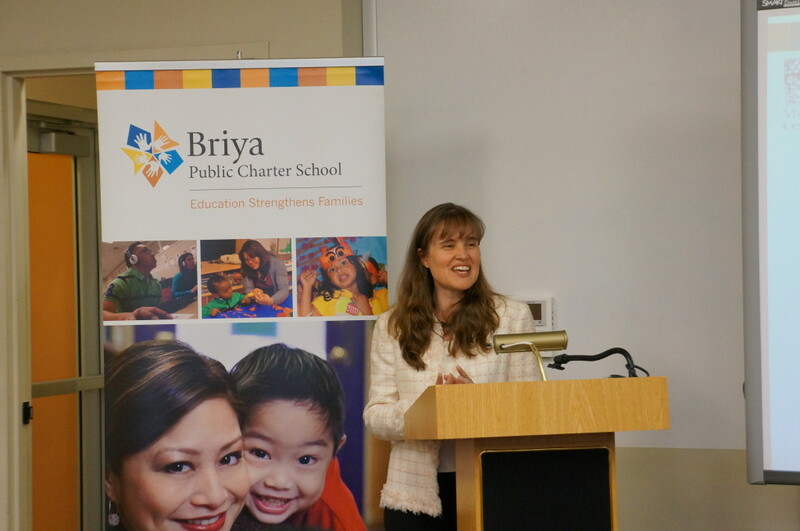 As a Bright Spot, Briya is featured in an interactive online catalog that includes around 230 organizations across the country that are helping close the achievement gap for Latinos. Through highlighting these programs, the Initiative aims to encourage collaboration between stakeholders focused on similar issues, ultimately resulting in increased support for the educational attainment of the Hispanic community from cradle to career.